I have always been a fan of yogurt. Creamy, smooth, tart and sweet – it is a comforting and easy to eat kid food. 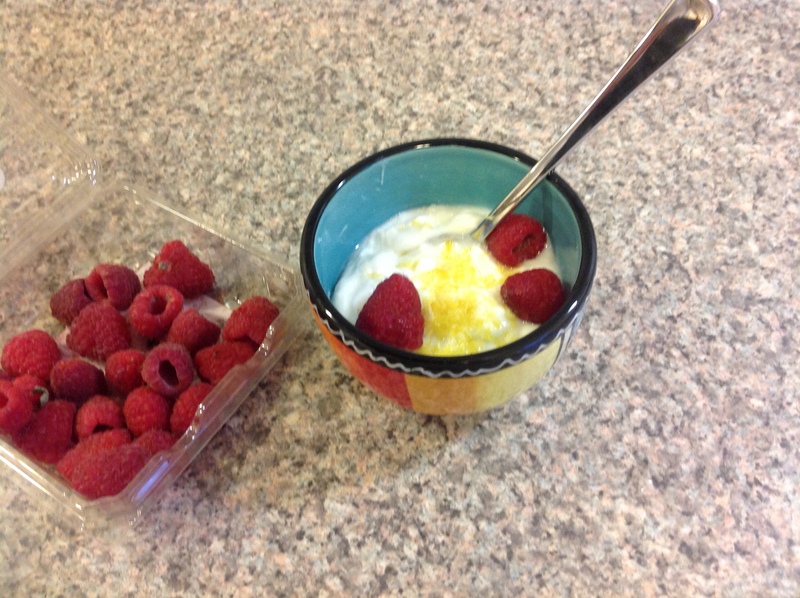 I remember eating yogurt pretty much every day while growing up, either packed in my lunch or for an afternoon snack. Though I know my mom tried to give us healthy food whenever possible, it is hard to get a kid to like plain, unsweetened yogurt. Ours was almost always flavored and sweetened while my mom sometimes bought her own tub of plain yogurt to eat for breakfast or sneak into healthified desserts. Well you know what they say… like mother, like daughter. 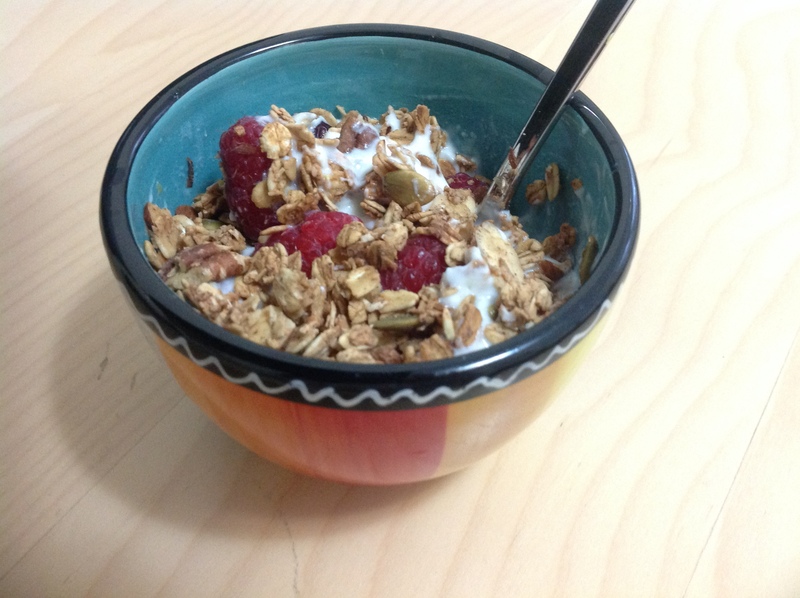 As it happens, I grew up and began buying myself plain yogurt to have with my granola. 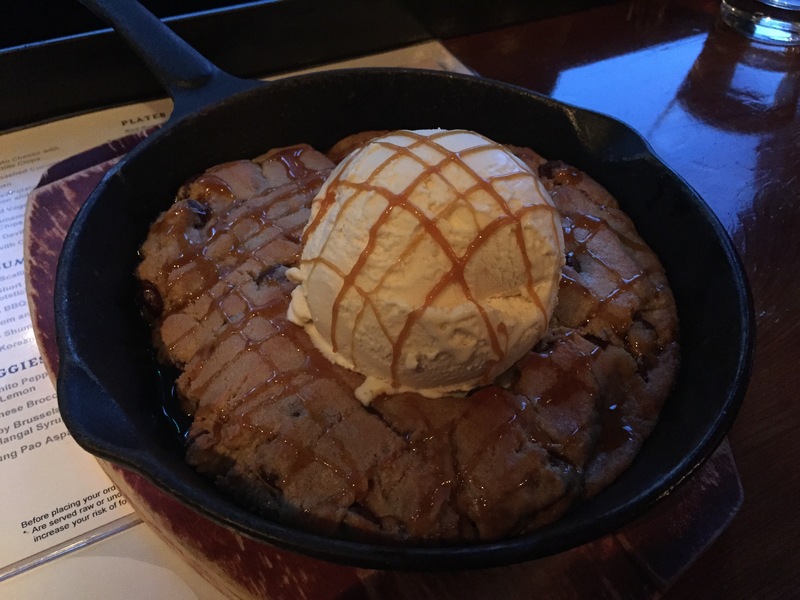 Though I have adjusted to the lack of sweetness, sometimes I want to add a little something more to make it special. 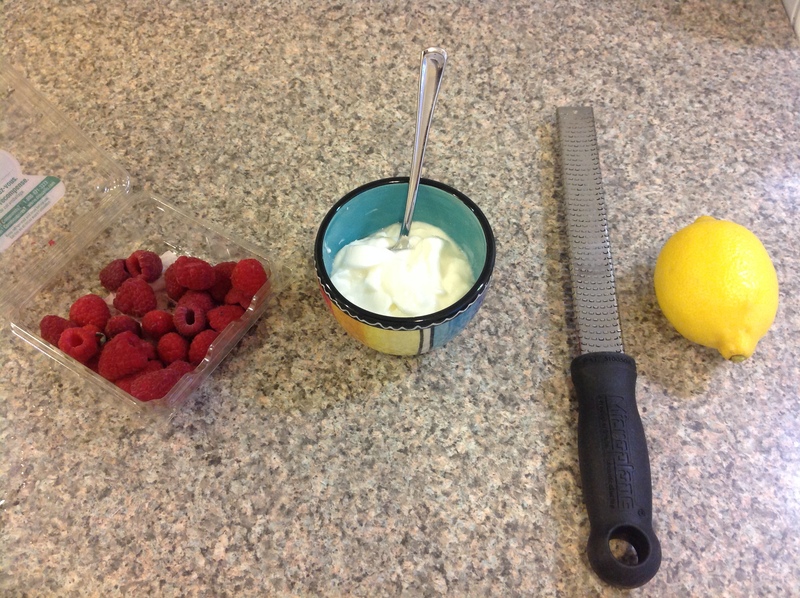 Here are five ways to jazz up your plain, unsweetened yogurt without adding excessive amounts of sugar. 1. Stir in some fruit – fresh or frozen! Thawed frozen fruit can be juicier than fresh fruit and can therefore make your yogurt seem more luxurious and colorful. The night before, pour some frozen berries into a small container to thaw in your fridge. In the morning, drain some juice if necessary and then stir it in. You are adding both color and flavor! Alternatively add a nice fresh fruit like ripe strawberries, raspberries or peaches in the summer. 2. Add some zest! Grate some lemon, orange, or lime zest into your bowl. 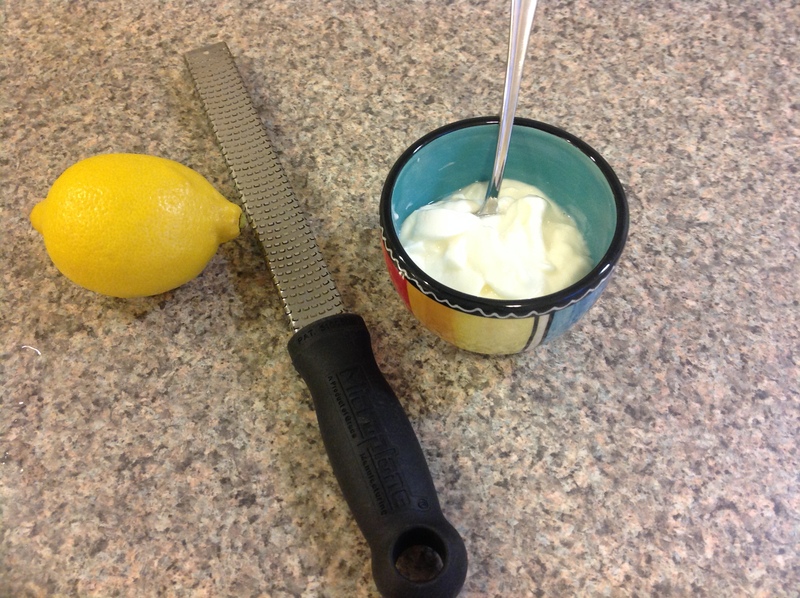 I find lemon adds a nice zing and freshness to the yogurt. If you really like you can also add a squeeze of juice, but make sure to taste it as lemon juice might make your yogurt too tart. Orange juice, however, would add a nice, natural sweetness. 3. Stir in your own vanilla. Like vanilla yogurt? Save on sugar and add your own vanilla extract or vanilla paste if you have it. Sometimes just having that vanilla scent and flavor makes it seem sweeter. 4. Sprinkle spices that hint at sweetness. Cinnamon is a spice that people most often associate with sweet things – snickerdoodles, cinnamon rolls, etc. Try adding a little bit of cinnamon, ginger, or nutmeg to your yogurt and see how much it sweetens your bowl. 5. Swirl in some (homemade) jam. So this one might be cheating a little bit since jam is usually sweetened, but this way you can at least control how much sugar you are putting in. I like adding a mixed berry jam and barely swirling it into my yogurt. It’s like fruit-on-the-bottom yogurt, though you don’t have to wait until the end to find it! 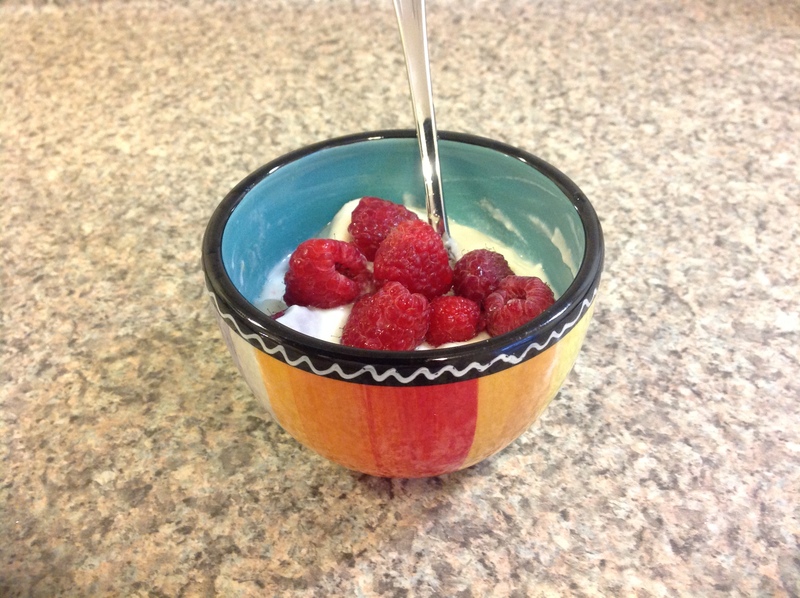 Try these five delicious ways to jazz up your yogurt and let me know what you think. Top it off with some homemade granola for added crunch and you have a delicious healthier treat! 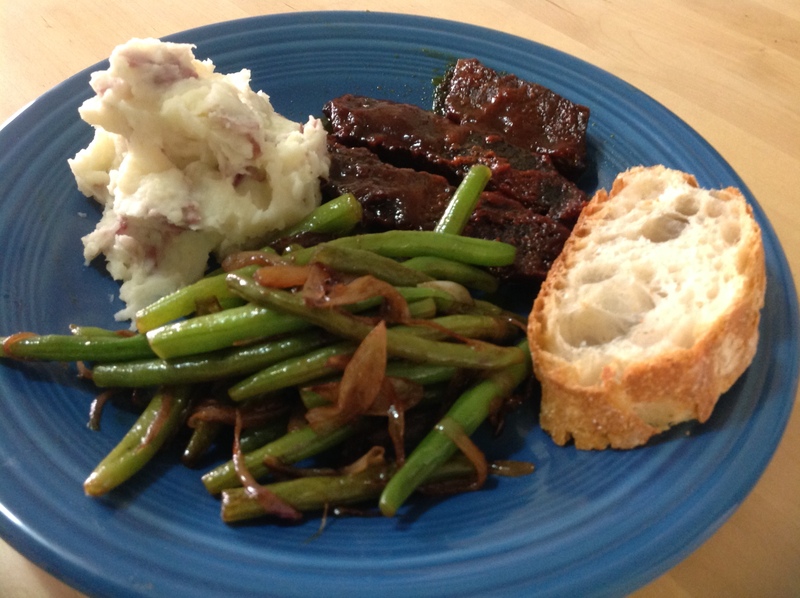 Post 118 – Balsamic Green Beans and Spring! 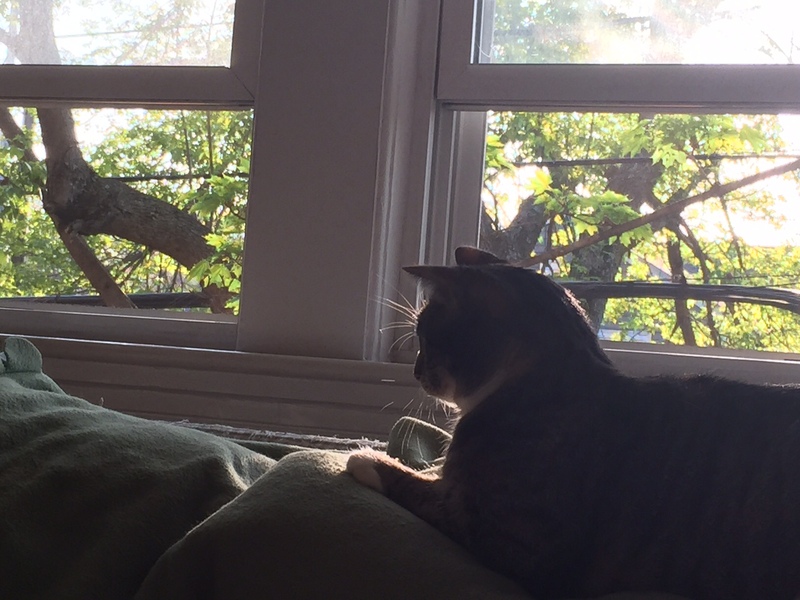 I am so very grateful for the beautiful weather and I’ve tried to soak up every wonderful moment of it before it gets too hot. To me the warmer weather means making flavorful salads and fresh dishes without using the oven. 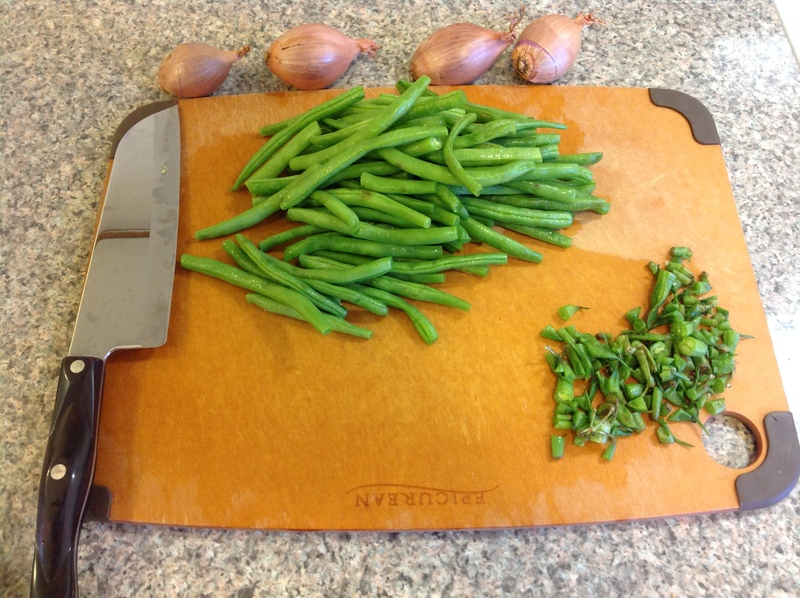 These green beans are made stovetop and remind me of the spring with their beautiful bright color and crisp snap. If you’ve only eaten canned green beans, you are seriously missing out. Fresh green beans can be enjoyed raw or cooked (to your desired doneness) and can make for an excellent spring side dish. This recipe comes from a William-Sonoma kids cookbook gifted to me by the former summer camp director at school. She gave it to me as a way to encourage me to do more cooking with kids. Thanks in part to her encouragement, I ran my first (highly popular) cooking club this past spring! I had a nice group of five sweet kids for nine weeks and when it ended they all begged me to do it again. We had a great time and I would be happy to do it again! You start by trimming your green beans (or having a child do this) and blanching them. Blanching is an easy technique for pre-cooking vegetables. Basically you throw them in boiling, salted water for a few minutes until almost cooked (think al dente pasta) and then you drain them and shock in cold water. I did my best to trim as little as possible off the ends of the green beans, remembering not to waste too much as told to me by the chef from my job at the country club. Anyway, I think I did alright. Nowadays you can buy trimmed beans anyway so you can save yourself the work. 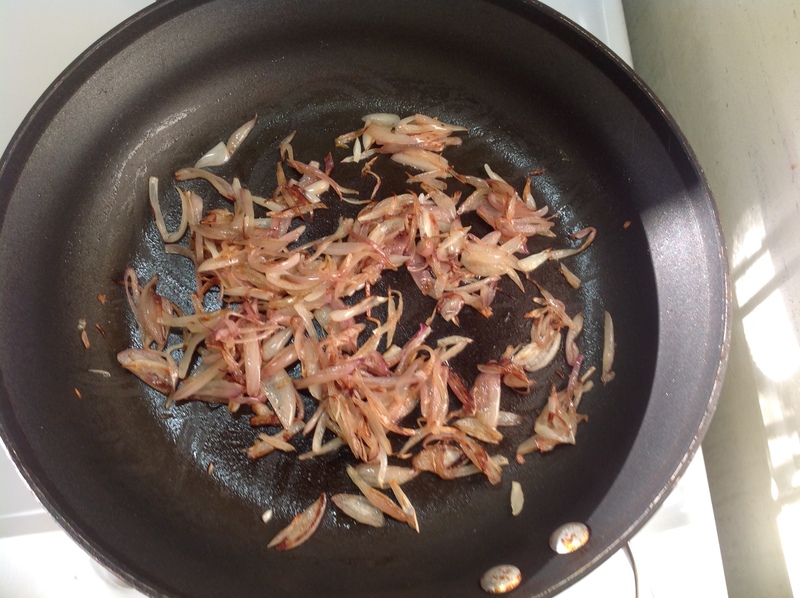 While your green beans are blanching, you want to thinly slice a few shallots. They are a small purple-ish onion with a pretty pinky colored skin and milder onion flavor. 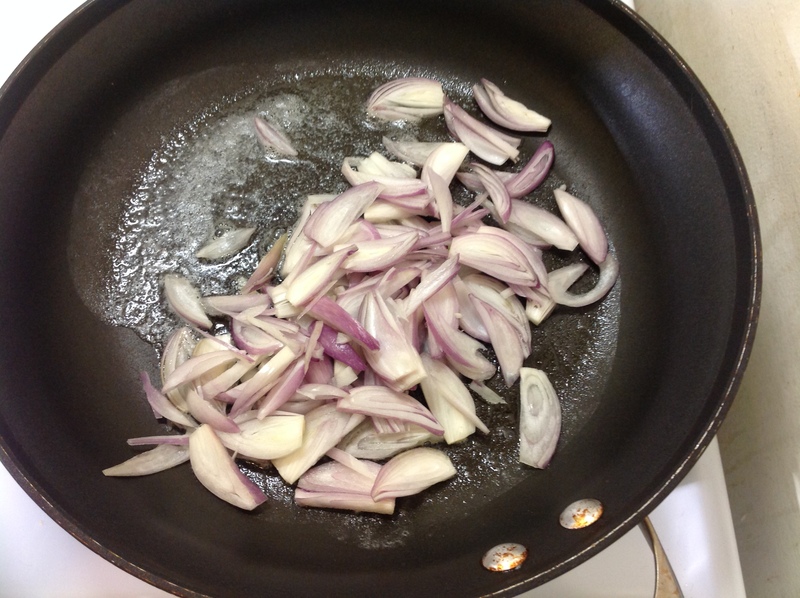 You can use a white or red onion for this if you prefer. These shallots will be cooked down into a stringy, sweet tangle that adds a level of sophistication to a regular side dish of green beans. And if your children are Williams-Sonoma-sophisticated maybe they will cook them for you and even eat them! I’m not making any promises. 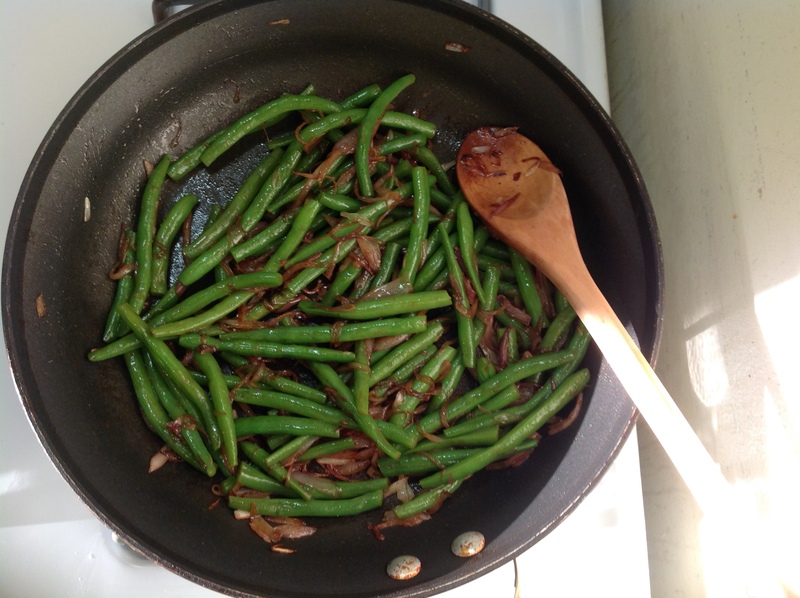 Once the shallots have cooked down to soft oniony strings, you add a splash of balsamic vinegar and your pre-cooked green beans. You just want everything to come together and the green beans to warm up. Serve with a big helping of mashed potatoes (stovetop – no oven required!) or throw them in with a green salad and celebrate the colors of spring. 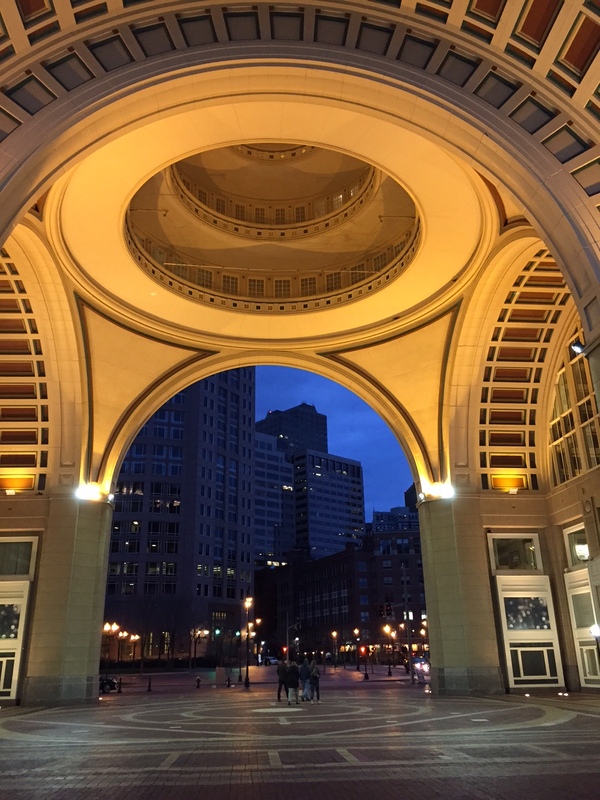 Winter is gone baby!